In our first installment of this two part article we explored the early years of computer graphics technology in automotive design. Technical drawing, computer numerical control, workstations, and more all paved the way for one of the most important advancement in the automotive field — the mass adoption of PCs for computer-aided design (CAD). The ongoing goal of automotive design software is simple: leverage cutting-edge technology to provide more realism in visualization of interior and exterior models. Expensive, under-performing IBM PCs eventually usurped Workstations as the industry standard CAD technology thanks to a booming graphics card (GPU) market. This is actually a consequence of a completely separate market driver: consumer demand. PCs have been the primary mode of CAD modeling since 2005 — thanks, in part, to the growing graphics card market. An unexpected overlap between the worlds of video games and automotive design has proven mutually beneficial for video gamers and automotive designers alike. Demand for more powerful video game computer hardware has translated into better optimized, more affordable PCs for automotive design. In effect, CAD programs are improving regularly — producing better image quality and rendering speed. Today, many automotive design software programs run on technology originally developed for video games such as Unity and Unreal. These gaming engines are so well optimized for rendering models that the automotive industry leverages them as a flexible means of rendering in real time. Automotive companies have been using virtual reality for decades; however, whether a CAVE or custom HMD, it has always been expensive and a limited resource. VR head-mounted displays (HMD) were initially met with some resistance in the automotive industry, but the success of Oculus — which was eventually bought by Facebook — brought commercial validity to the new technology. The beginning consumer adoption of Oculus Rift, HTC Vive and WindowsMR devices has driven higher commercial expectations of the technology as well as standard libraries and integration of the devices into commercial applications. Today, automotive designers use VR to identify problems such as interferences, body gap inconsistencies, interior ergonomics validation, and more. The ability to interact with 3D models in a virtual environment has streamlined and improved the design process. It’s hard to predict which new technology will be the next to significantly change the way automobiles are designed. Thirty years ago, few would have thought PCs would become the standard for automotive design. What we do know is there are several exciting technologies that show promise for the purposes of CAD. GPUs have become so powerful that they are able to compute autonomously, so artificial intelligence is an emerging technology that could prove useful for automotive design. Through program-writing software such as CUDA and OpenCL, GPUs can be trained to perform optimization activities — such as ray tracing — autonomously. However, the quick rate of technological advancements presents as many obstacles as it does solutions. In light of the fast-developing PC market, software that was once perfectly optimized quickly becomes obsolete. To stay ahead of the curve, software must be rewritten regularly, which is not only expensive but also time consuming. One of the greatest challenges for the progress of CAD will be determining which software warrants investment in a rewrite and which doesn’t. Automotive design is an ever-evolving topic that is always susceptible to change. Whether driven by consumer trends or contending with the shifting technological landscape, automotive design is poised to experience a new wave of change in the coming years. 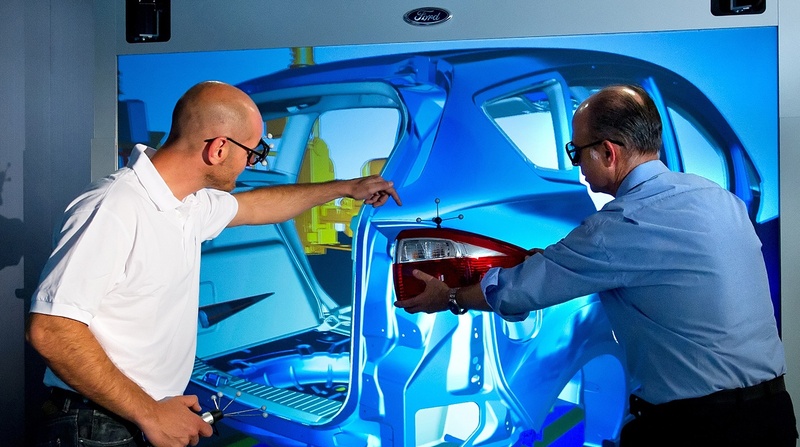 Visit our blog to learn more about advanced visualization in the automotive industry.